Smoothies are the perfect choice for breastfeeding mamas to add a nutritious snack to her day. And they are incredibly tasty, too. 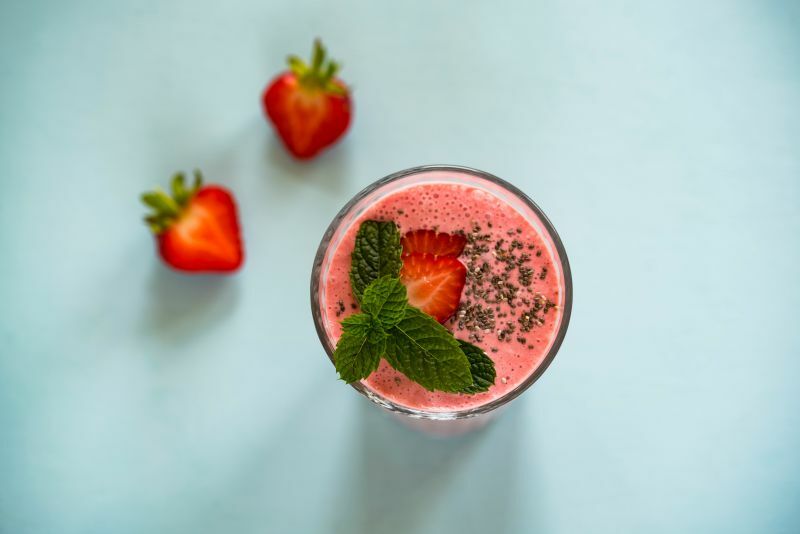 Because a breastfeeding mother's nutritional needs are slightly increased (higher need for some vitamins and minerals + she is burning more calories + needs to up her fluid intake), blending up a simple smoothie can be the perfect solution. Registered Dietician Nutritionist, Clinical Dietician and Community Health Nutritionist, Calli Bemis works with moms regularly. She put together a list of the best smoothie ingredients for breastfeeding mamas. 1. Berries. Due to the variety and richness of colors in different berries (blackberries, strawberries, raspberries, blueberries to name a few) have many vitamins and minerals. Since you are giving your baby many of these nutrients during feeding you need some extra coming into your body to store and use for yourself to stay healthy. 2. Leafy Greens. The leafy greens are high in folic acid. Many women take extra folic acid during pregnancy but it is actually more important to be eating more of this vitamin before pregnancy in case of becoming pregnant again. Folic acid prevents neural tube defects such as spina bifida which can happen during the first 28 days of pregnancy and some women may not know that they are pregnant then. Maybe you are not likely thinking about another baby right now, but if you were to become pregnant again, you wouldn’t have to worry about the dangers of inadequate folic acid since you were adding extra leafy greens to your diet. 3. Peanut butter. During breastfeeding you may need up to an extra 300- 500 calories per day! Peanut butter can be an easy but healthy way to add in those extra calories. You would also benefit from the iron and protein in peanut butter to help you heal after delivery. 4. Milk/yogurt. The amount of calcium in breastmilk doesn’t change; your baby will get enough of it regardless of how much dairy you consume. However, you would still want to regularly consume calcium rich foods to ensure you are getting enough calcium for your own bones so not all of your stored calcium is going to baby. 5. Chia/flax seeds. Your breastmilk is high in fat for your baby. Chia and flax seeds have a high amount of the wonderful Omega-3 fatty acids. Omega-3 fatty acids are good for your brain and lower your cholesterol. Adding these to your diet will help add healthy fats for you and your baby. These seeds are also a good alternative protein and iron source which is once again good for healing after delivery. 4. Water. Your fluid needs increase during breastfeeding since you are expelling a lot of fluid. Adding water to your smoothie will help quench your thirst and get some more water back into your body. The amount of water you would add depends on how thick or thin of a smoothie you would like.